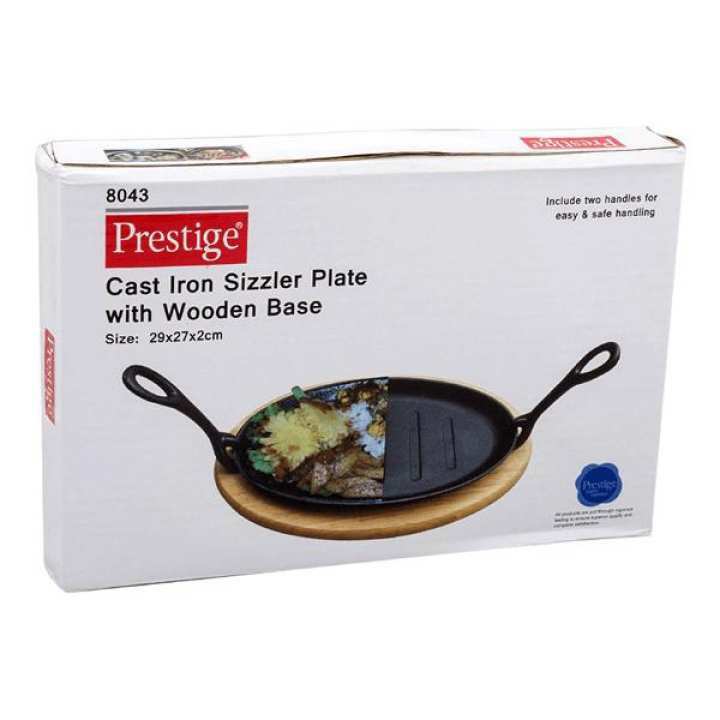 Make sizzling steaks in this awesome sizzler plate by Prestige, it comes with a wooden base for easy serving. The pan is made of high quality cast iron and is coated with a premium non-stick coating. Size: 29 x 27 x 2 cm.